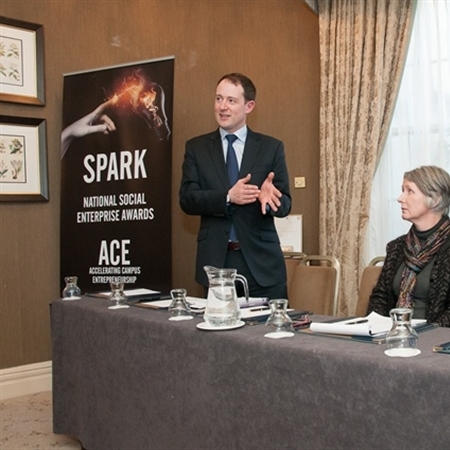 Sean Sherlock, TD, Minister for Research and Innovation, launched the ACE funded Spark social enterprise awards on 27th February 2014. 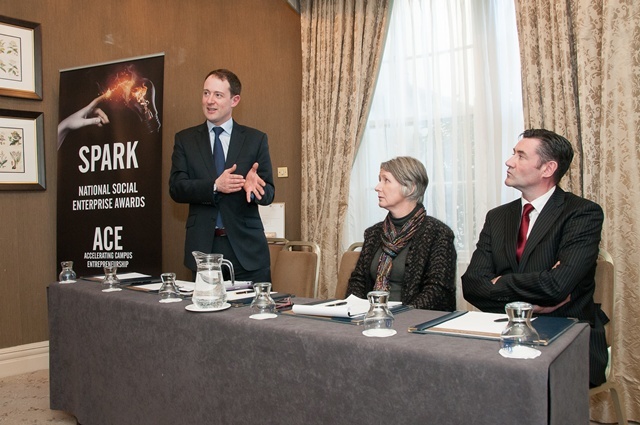 Being run as a joint initiative between IASCE (Irish Association of Social Care Educators) and ACE, the competition aims to facilitate, recognise and reward creative, innovative solutions to a diverse range of social issues. Initially open to students from Institutes of Technology on the BA in Social Care Practice degree programme. Using a problem based learning approach, the competition will involve student social entrepreneurs identifying a social issue and facilitated by their lecturers, exploring and critiquing current responses, and offering new ideas to address these problems. Through participation in this experiential learning experience, students will develop team work, critical thinking, and effective communication and leadership skills, all directly relevant to their future employability.